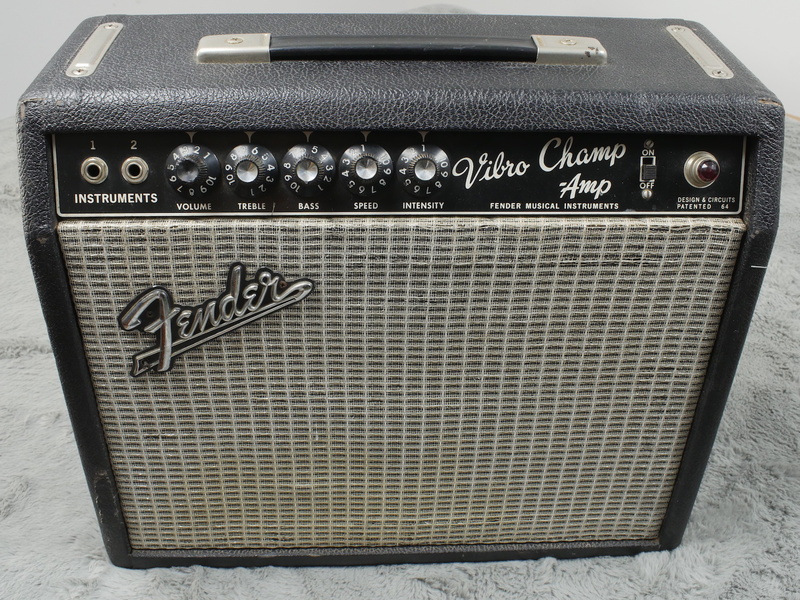 Late 1967 Fender Vibro Champ amp in fine sounding condition and good working order all round. 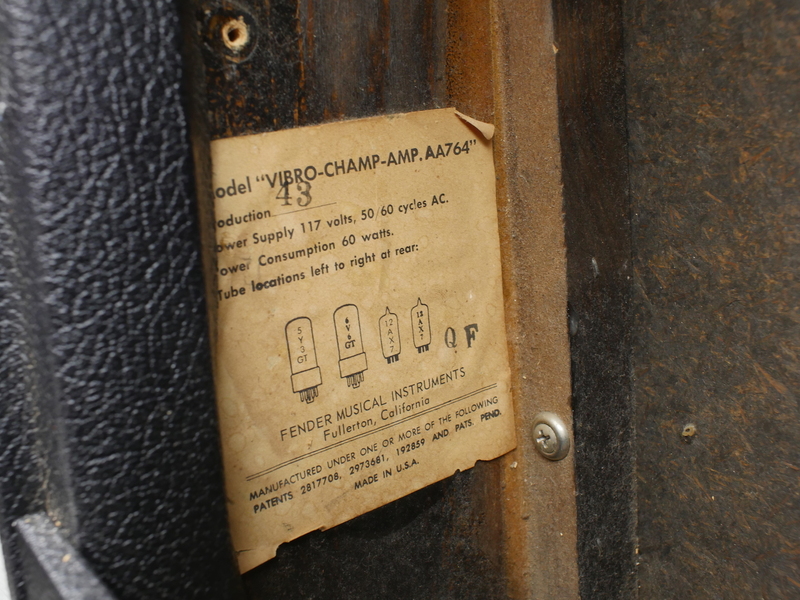 This is the AA764 blackface version of the original 5F1 tweed amp that Eric liked to use, but with an added vibrato. 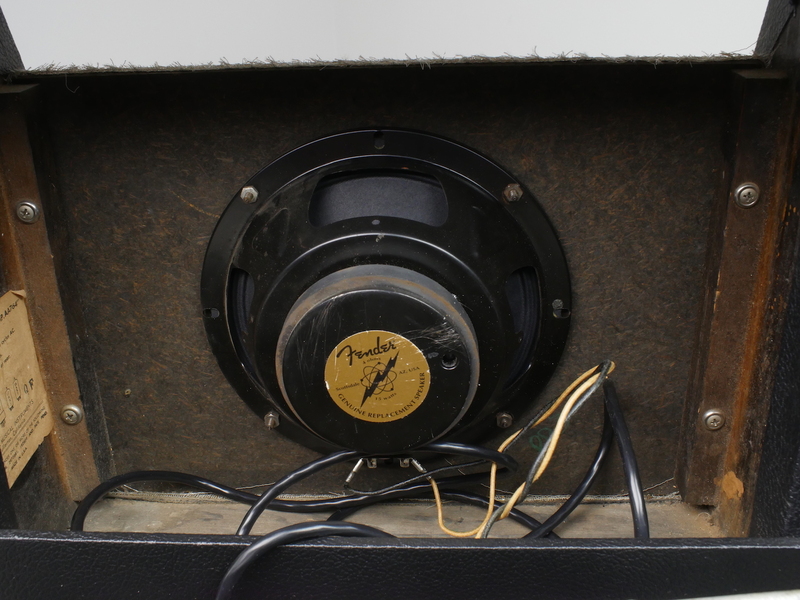 It has been recapped and the speaker has been changed for a very nice original Fender replacement 15 watt one that unlike the originals, should last well and not blow out. 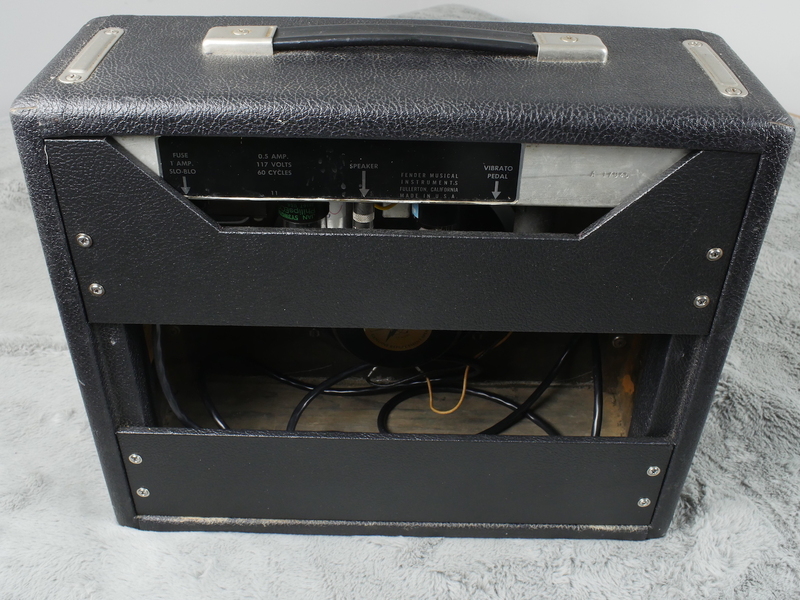 It is in very good condition cosmetically but has one silver insert missing on one of the knobs and has a couple of small rips in the grille cloth. 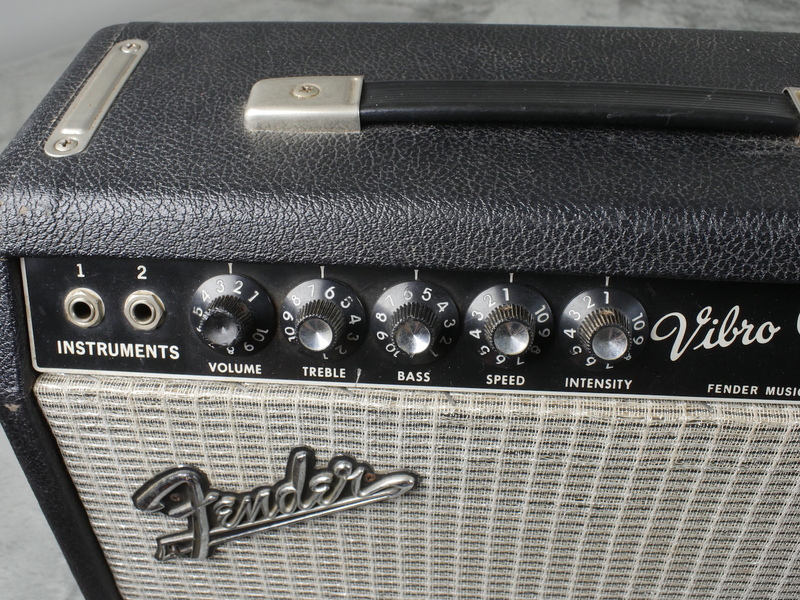 The original tolex and logo are in excellent shape. 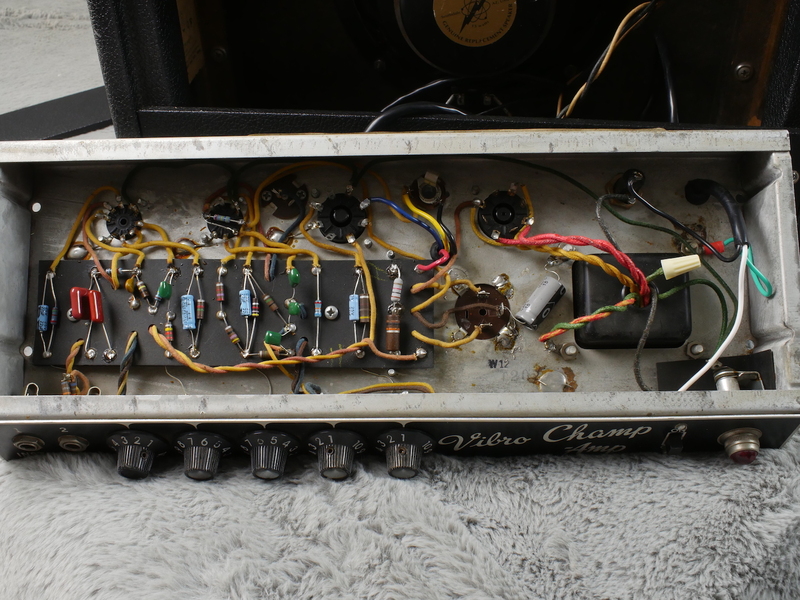 All original transformers, chokes etc and it sounds just as you would expect a good blackface Champ to sound. 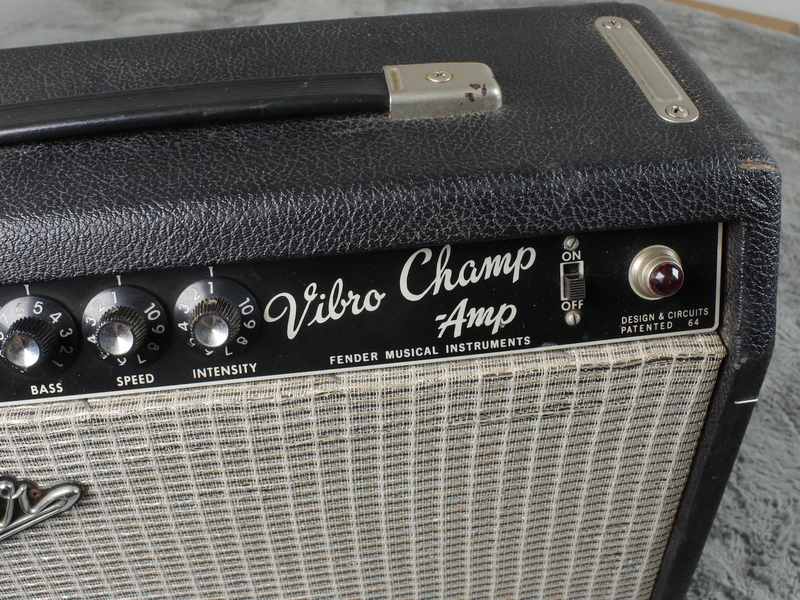 This is one that will last too - one you can really crank up to good affect without fear of blowing your original speaker.